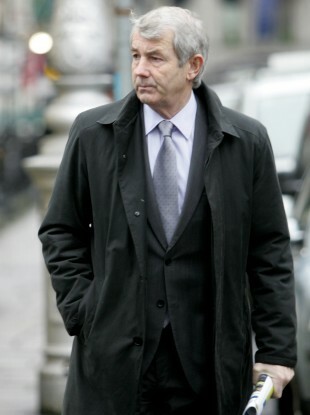 Independent TD Michael Lowry can be heard making reference to a £250,000 payment which he said he never declared. A CONVERSATION BETWEEN independent TD Michael Lowry and land agent Kevin Phelan has given details of a payment of £250,000 that the TD said that he never declared. The full telephone conversation between Lowry and Phelan was played on last night’s Tonight with Vincent Browne. A response by the Minister for Justice Alan Shatter to a parliamentary question by Deputy Pearse Doherty has revealed that gardaí are currently examining the tape, with a view to determining whether a full investigation should take place. The conversation between Lowry and Phelan is understood to have taken place on 30 September 2004, at a time when Phelan, who was then based in Omagh in Co Tyrone, was employed by Lowry to identify properties to invest in. Outlining the background to the taped conversation, academic and Sunday Independent contributor Elaine Byrne said that the conversation had been provided voluntarily by Phelan, a transcript of which was previously published in the paper. “What will come across in particular is the anxiety that Michael Lowry expresses about Kevin Phelan confirming that he had nothing to do with an entity called Glebe trust, which is a family trust,” she said. Until this tape aired, we know about one payment between Lowry and Phelan, the final installment of which was 22 April, 2002, the sum total of which was for £65,000. What we hear in this tape… is that on 28 August, 2002, Michael Lowry gave a separate payment of £248,684 to Kevin Phelan. This payment, however, was never revealed to the Moriarty Tribunal. Phelan never gave evidence to the tribunal, and having lived in Northern Ireland at the time, wasn’t compelled to. Following discussions about Glebe Trust, and whether Lowry could be viewed as being involved with it in any way, the conversation returns to the £250,000. Michael Lowry: “Now, the 2500 – the 250 – that I gave you, I paid that directly. I never put that through my books or my account of anything, nobody’s going to f**king get it, so I’ve got, you, know, I mean, I’m not even bringing that into it”. Deputy Lowry has denied any wrongdoing. Email “Gardaí examining Lowry tape as conversation is aired on national TV”. Feedback on “Gardaí examining Lowry tape as conversation is aired on national TV”.